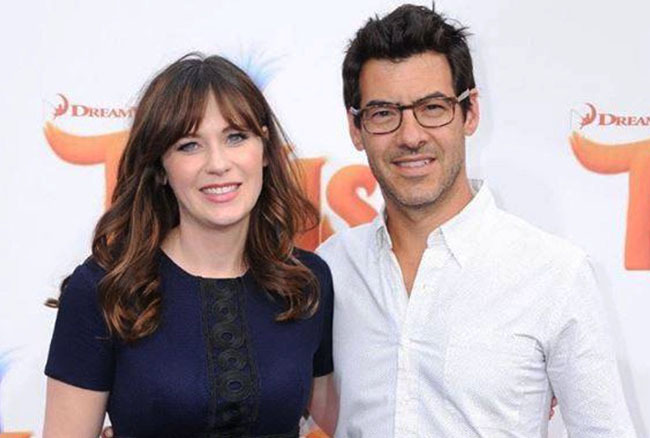 New Girl star Zooey Deschanel, whose parents were Quaker and Roman Catholic, converted to Judaism before her June 2015 wedding to Jewish producer Jacob Pechenik. Now the parents of Elsie, born in July that year, are expecting their second child. Laura Prepon (Orange is the New Black), who is Russian-Jewish on her father’s side and Irish-Catholic on her mother’s, and fiancé Ben Foster (Hell or High Water), who is Jewish, are going to be parents for the first time. Congratulations to all! 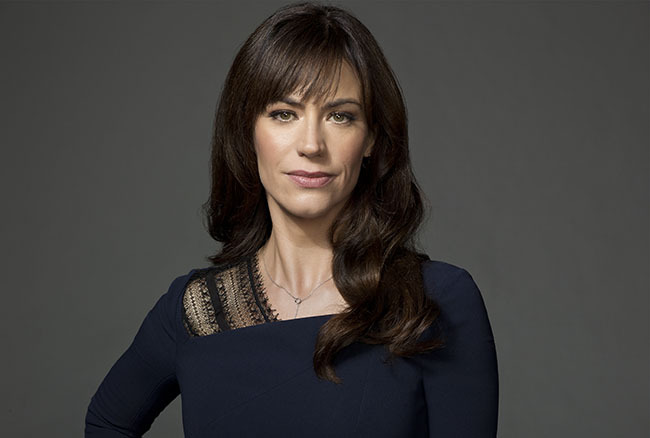 In the Showtime drama Billions, about the high-stakes battle between hedge fund billionaire Bobby Axelrod (Damian Lewis) and U.S. Attorney Chuck Rhoades (Paul Giamatti), Maggie Siff plays the pivotal role of Wendy Rhoades, Chuck’s estranged wife and Bobby’s trusted advisor. As the second season begins on February 19, Wendy has left Bobby’s company and is in couples counseling with her husband. “At the end of the first season she kind of blew everything up, walked out on these guys and she’s having an existential crisis. She’s trying to find her place in the world on her own and get her life back on track,” says Siff. Best known for her roles in Sons of Anarchy and Mad Men, in which she played Jewish department store heiress Rachel Menken, Siff is Russian-Jewish on her father’s side and Irish-Swedish Protestant on her mother’s. “I grew up around my father’s family. We had a menorah and a Christmas tree. We would do Passover with family. I didn’t have a bat mitzvah but I went to lots of bat mitzvahs,” she recalls, noting that she doesn’t observe either faith, “But I feel culturally Jewish because of how and where I grew up.” She has been married since 2012 to Paul Ratliff, who is not Jewish, and they have a 2-and-a-half-year-old daughter, Lucy. After seven seasons on CBS, The Good Wife, along with star Julianna Margulies, signed off the air in May, but its story didn’t end there. On February 19, Christine Baranski’s Diane Lockhart and Cush Jumbo’s Lucca Quinn segue to the CBS All Access streaming service in The Good Fight, a spinoff also set in the world of Chicago law. Diane, the victim of a scam that wipes her out financially, joins Lucca’s otherwise all-black law firm. 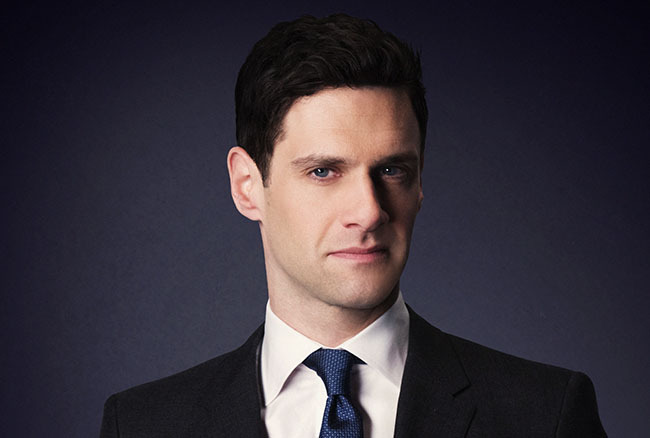 The new series’ mix of familiar and new faces includes Justin Bartha, best known for The Hangover movies. He plays Colin Morello, the scion of a prominent political family. According to Bartha, he is “a golden boy JFK Jr. type” assistant U.S. attorney who faces off against Lucca Quinn in court and becomes romantically involved with her outside of it. Starting February 19, Kravitz (Divergent, Mad Max: Fury Road) stars opposite Reese Witherspoon, Nicole Kidman and Shailene Woodley in Big Little Lies, HBO’s buzzworthy seven-part series based on Liane Moriarty’s bestseller. 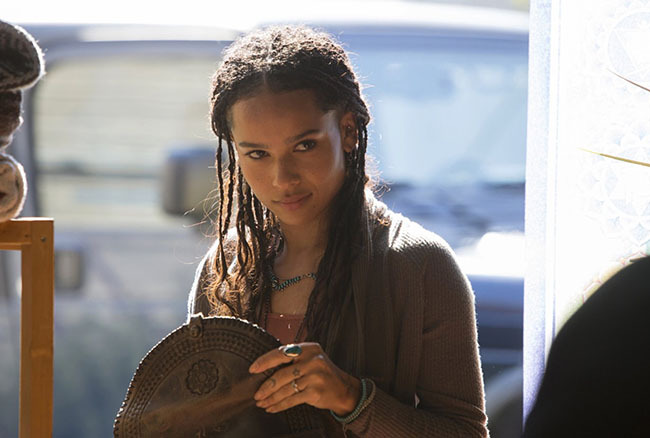 Kravitz plays Bonnie, a yoga instructor now married to Maddie’s (Witherspoon) ex-husband (James Tupper) in the story about moms with secrets and murder, set in an affluent Monterey, California community.